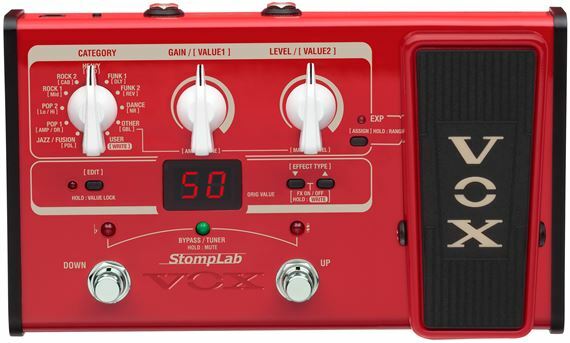 Shop Vox StompLab IIB Modeling Bass Guitar Effects Pedal from AMS with 0% Interest Payment Plans and Free Shipping. Dedicated bass modeling and an expression pedal, the StompLab IIB pedals packs powerful sounds for the bassist. Sound variations are categorized by style, such as rock, blues, and ballad, making it easy for even novice users to recall the desired sound. With high-quality looks in a steel chasis, the StompLab will provide years of fun playing either or gigs or just rehearsing. First check out the sounds! Multi-effects units contain an incredibly diverse array of sounds that range from distorted to clean, and the sheer number of these sounds can be staggering. Although having a large number of sounds is a great advantage, it can also overwhelm the novice user, causing difficulty or confusion. The StompLab series is designed to be easily usable, even by novice players. Since each program is named with a musical style, such as rock, blues, or metal. You’ll be able to find the perfect sound without being concerned with specific effect names. The musical styles are categorized into ten types, and cover everything from straight-ahead traditional styles to quirky, unusual sounds. There are ten variations for each category, so you're sure to find sounds you like. Simply playing the preset sounds is a lot of fun, but you'll definitely want to create some of your own original sounds as well. The StompLab IIB contains 104 types of modeling effects. These effects are categorized as pedal, amp, drive, cabinet, modulation, delay, and reverb effects. When noise reduction is included, you can use up to 8 of them simultaneously. Each effect type provides multiple parameters that you can deeply edit to create your perfect sound. Since the sound engine is equivalent to those featured on the worldwide best-selling VT+ series of modeling amps and the ToneLab series of multi-effect units, you need no further guarantee of quality. Sounds you create can be saved as 20 user programs. Packed with convenient functions including a tuner! The StompLab series has a built-in chromatic tuner, so you won't need to provide one separately. The three-LED indicator makes tuning easy. For convenience on stage, there's a mute function that lets you tune without being heard by others. Headphones can also be connected, so you'll be able to play at home late into the night without disturbing anyone. Battery operation makes these units easily portable, letting you enjoy serious sound from your guitar or bass wherever you go. Pedal is so solid! 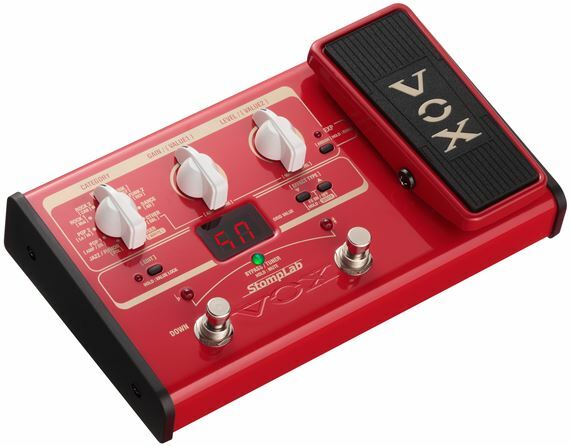 There are a varied of sounds and it ease of use is incredible Really love the tones and range it provides I highly recommend this pedal for bassist of any style of music! Right outta the box worked perfectly! Well made (metal chassis and good looking finish) and full of features. Interface take a bit to get used to edit, but even the default settings are good and varied. The only thing that can really be improved is for Vox to make the battery compartment more easily accessible and include a power supply (multi-effects units usually include this). Neat little package with a lot to offer. Fun tones, simple interface, and stellar looks. Small price. The StompLab IIB is absolutely awesome for adding new sounds to my bass tracks. I'm especially lovin' the synth models for my new recording project. My one complaint would be the battery set up. I believe Vox could have made a better way to change batteries, like adding a side compartment to pop a 9 volt into.